Electronics Costs > How Much Does a Pottery Kiln Cost? How Much Does a Pottery Kiln Cost? A kiln, whether you need it for a school or your own personal studio, can vary greatly in pricing depending on what you’re looking to purchase. There are multiple pottery kilns available on the market, and the prices will, of course, depend on the type, the power and where you purchase it. To help break down the categories, refer to our table below to see what various kilns may cost you either online or at a local retailer. Skutt, according to this PDF pricing list for ceramic kilns, has prices ranging from as little as $850 for an eight-by-six FireBox to as much as $7,100 for a 240-volt model, with the option of upgrading the element for another $1,300. On this price list for glass kilns, the prices range anywhere from as little as $545 for the FireBox 8 to as much as $6,360 for the Scarab XL, measure L42” x W45” x H67”. SoulCeramics, according to one of their blog posts, claims the prices of their kilns range from as little as $300 to close to $4,000. In some cases, depending on the size of your kiln, an electrician may be required to install a larger circuit with more amps. As people are limited to the amount of power they have, pay close attention to the number of amps you readily have available. BigCeramicStore.com notes that some customers often assume if they have a 240-volt circuit, they will be able to use a 240-volt kiln, but this isn’t the case as the circuit may only be 30 amps, which isn’t powerful enough to use it The costs, again, depending on the size of your kiln, could cost $100 to more than $2,000, depending on the wiring inside your home to increase the amperage. We highly encourage you to use HomeAdvisor.com, a free tool that allows you to receive multiple quotes for free from local, licensed electricians. Furniture kits, often purchased alongside the kiln, can range from an average of $30 for a shelf and a few posts to as much as $1,000+ for multiple shelves, gloves, cleaning equipment and various post assortments. The cost of a furniture kit will greatly depend on the number of shelves, posts and types/size of shelves needed and what’s included in the kit. To budget, plan on spending $25 to $65 per shelf and another $2 to $7 per post. Additional vents, which allows you to either extend your current exhaust setup or allowing you to vent more than one kiln, can cost an additional $125 to $500, depending on the type of vent and length. A controller, either wall or desk mount, can cost $450 to $1,000 or more, depending on the type. A rolling stand, another common accessory often purchased, can cost $250 to $500 and will greatly depend on the number of sides. Most kilns, designed for home usage, will use an electronic controller, allowing you to program exactly how you want to kiln the fire; however, if the kiln doesn’t include an electronic controller, then the kiln will have something known as a kiln sitter or manual controller, which forces you to turn the kiln up and down as you fire. 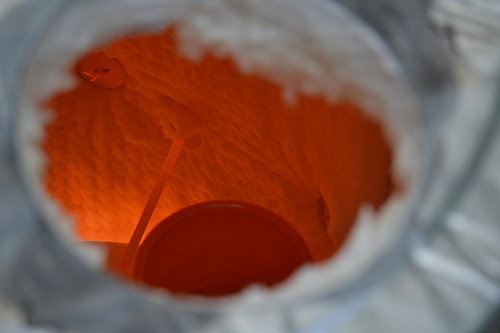 When buying a kiln, Soul Ceramic recommends asking yourself the following questions: What kind of clay are you firing? What kind of glaze are you going to use? What size pieces do you plan on creating and how many? How big is the space where you will be storing the kiln? Lastly, how much power will you have available? Since all kilns have something different to offer, they may all look same to the naked eye, but when you look closely at the description, they will vary. Used kilns can readily be found slightly used on both eBay and Craigslist. Even in good condition, a good kiln can be found for up to 50 percent less than the retail value.